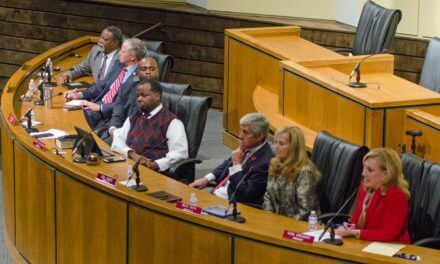 The Mobile City Council will decide Tuesday whether to transfer $464,649.57 out of city park funding to improve playing facilities at the 17-year-old Hank Aaron Stadium, home of the Southern League’s Mobile BayBears. The money would replace field lights, upgrade the audio system and install field rail padding, according to a statement released by the administration Sunday. “Baseball has an important role in Mobile, past and present,” Stimpson said in the statement. “Our city has produced more Hall of Famers than any city, except New York or Chicago. I remain committed to keeping America’s pastime a part of our family-friendly community for years to come. “For our future to be as strong as our past, we need to make sure our little league fields to Hank Aaron Stadium are safe, playable and accessible for all to enjoy,” he added. The proposed improvements are among many requested by the BayBears’ major league affiliate Arizona Diamondbacks. In a letter to BayBears General Manager Chris Morgan dated Sept. 23, Diamondbacks’ Director of Player Development Mike Bell suggested the Double A farm team work with the city to find funding for improvements to the drainage system and dugout flooring. In the letter, Bell argued that the “antiquated” drainage system, especially in the outfield, has led to “lost games” that would’ve otherwise been played. In a separate appropriation, the administration plans to tackle the drainage system next year, according to the statement. Additionally, plans to resurface the field are set for 2016. The existing playing surface be will repurposed in a city park, Stimson suggested. In the same letter, Bell thanked the BayBears and the city for improvements made to the “clubhouse area” prior to the start of the 2014 season, but added similar cooperation would be needed in the future. On July 14, Minor League Baseball and Business Operations Manager Andy Shultz also sent a letter to BayBears Vice President Mike Gorrasi asking the club to address certain measures to put the stadium in compliance with the league’s facility standards. Those measures include adding one locker to the visitors’ clubhouse; padding of the rails and improvements to field lighting, which Stimpson’s plan would address, as well as improvements to the dugouts. Last week, the Diamondbacks announced that Robby Hammock will be the next manager for the BayBears. Hammock started his coaching career in 2012. He had played for the Diamondbacks from 2003 through 2011, hitting .254 with 30 doubles and 12 home runs. The BayBears’ season begins on the road April 9, with a five-game series against the Birmingham Barons. Mobile returns to The Hank April 15 to face its new Gulf Coast rival, the Biloxi Shuckers, formerly the Huntsville Stars. Hank Aaron Stadium seats 6,000, but had an average attendance of just below 1,700 people per game in 2014, according to reports. 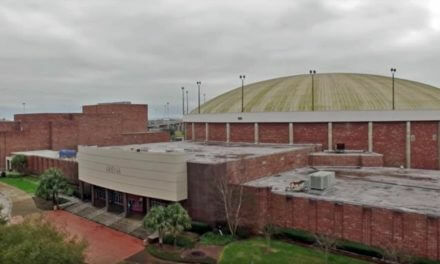 The stadium, which for years has existed on a lonely piece of property near the intersection of U.S. Highway 90 and Interstate 65, may be bolstered by the 600,000 square-foot retail development McGowin Park, currently under construction. The development is anchored by Costco and expects to be partially open by May.